There is no shortage of options to choose from when it comes to selecting a ferry from Aegean Islands to Dodecanese Islands. There are 2 ferry companies with a combined offering of 35 Ferry Routes connecting Pythagorio to Agathonisi, Agios Kirikos to Patmos, Lipsi, Leros, Kalymnos, Kos, Kastelorizo, Nisyros, Rhodes, Symi (Simi) & Tilos, Fournoi to Patmos, Lipsi, Leros, Kalymnos, Kos, Kastelorizo, Nisyros, Rhodes, Symi (Simi) & Tilos, Pythagorio to Agathonisi, Arki, Patmos, Lipsi, Leros, Kalymnos, Kos, Symi (Simi) & Rhodes, Agios Kirikos to Patmos, Lipsi, Leros, Kalymnos, Kos, Kastelorizo, Nisyros, Rhodes, Symi (Simi) & Tilos, Fournoi to Patmos, Lipsi, Leros, Kalymnos, Kos, Kastelorizo, Nisyros, Rhodes, Symi (Simi) & Tilos, Chios to Patmos, Limnos (Myrina) to Patmos, Mytilene to Patmos, Vathi to Patmos, Kos & Rhodes & Agios Kirikos to Patmos, Lipsi, Leros, Kalymnos, Kos, Kastelorizo, Nisyros, Rhodes, Symi (Simi) & Tilos. The fastest route between Aegean Islands and Dodecanese Islands is Pythagorio to Agathonisi with a crossing duration of around 35 minutes. With so many routes on offer we make it simple by comparing all similar routes in one search so you can quickly find what you are looking for. The Aegean Islands are located in the Aegean Sea, between the south and east side of mainland Greece and the west side of Turkey. The vast area covered by the Aegean Islands includes the Cyclades, the Dodecanese Islands, the North Aegean Islands, the Saronic Islands, Sporades, Crete and the Ionian Islands and Euboea. The island group includes some of the most popular holiday destinations including Crete, Lemnos, Lesbos, Chios, Samos and Rhodes. 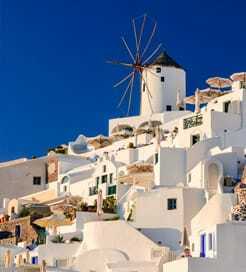 The Aegean Islands are often seen as the main characteristic of the Greek culture and tradition. In addition to the obvious appeal of the sun and the sand, visitors are attracted to the traditional villages of whitewashed houses, as well as to the impressive monuments of the great prehistoric civilisation that flourished here. Ferries are the primary method of travel around the islands and provide a convenient mode of transport to get you in to and around the region. 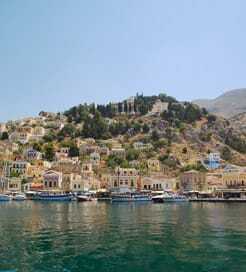 The Dodecanese Islands in the Southeastern Aegean Sea is a group of 12 large islands and numerous smaller ones, located close to the West coast of Turkey, in the sunniest corner of Greece. The islands boast crystal clear waters, sandy or pebbly beaches, Byzantine and medieval monuments and unique traditional settlements. Its historical capital Rhodes not only offers beautiful beaches, its also a magnificent old city full of beautifully preserved medieval treasure.